Catch the cold wave. Just thought I’d add to all the hype surrounding the upcoming Zwischenwelt album, which has supposedly already been describd as ‘something like Nico meets Fad Gadget’ or even ‘cold wave for zola jesus fans’! ), with some more preview information for you. Said to be out now on 28th Feb on Rephlex. Samples of all the tracks from it over at Norman Records, nice. Also some nice new pictures of Zerkalo live at DNA club from 5th Feb 2011. An interview with Victoria Lukas and an interesting mix can be heard at this French radio website. For the DRL archive here’s the Rephlex Press Release in full. 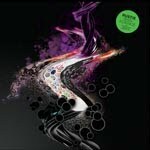 Rephlex's biggest crossover album for some time, this record will find favour as much amongst fans of the current crop of cold wave and nu-goths such as Zola Jesus etc, old goth chanteuses such as Nico, as well as Detroit Electro heads and fans of early Mute Records electronics. Zwischenwelt explore the field of parapsychology with a dark and twisted vision of cold wave electronics. Parapsychology investigates paranormal psychic abilities using scientific methods, such as used in traditional psychology (observation, survey etc.) and quantitative empirical methodologies such as used in sociology, psychology and pedagogy. 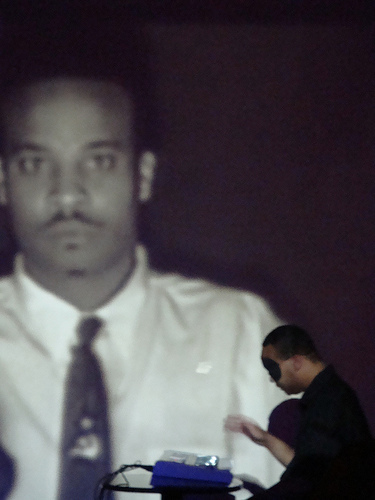 Parapsychological phenomenon are often also called Psi-Phenomenon. The two main fields of parapsychological research are Psychokinesis, the ability of the mind to influence objects without involvement of currently known physical energies and without physical contact between the acting subject and the reacting object (for example telekinesis and psychic healing) and Extrasensory Perception (ESP), the ability to acquire information by (psychic) sources currently unexplained by science (best known examples are clairvoyance, precognition and telepathy). It is this field that the group Zwischenwelt (German for ‘in-between world’) look to discover. Combining the talents of former Drexciya member Heinrich Mueller, New York DJ/producer Susana Correia, Spanish producer Penelope Lopez and vocalist Beta Evers (who operates a number of German labels, including Kommando 6), Zwischenwelt’s ‘Paranormale Aktivitat’ was created largely through the passing of parts back and forth across the web. The opening ‘Apparition’ starts with an ethereal, ghost-like feel that permeates this haunting electronic encounter whilst ‘Clairvoyant’ pairs a stripped down electro beat to distant echoes of melody in a half-remembered state. Tracks such as ‘Enigmata’ and ‘Telekinesis’ add a strange swing to the avant-garde approach whilst ‘Diapsiquia’ and ‘Materialization’ are eerie cinematic moodscapes that push the groups experimental reach. 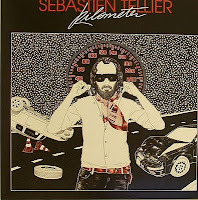 Finally the pulsating rhythm of ‘Telemetric’ is perhaps the most obvious electro-power surge for the dancefloor. 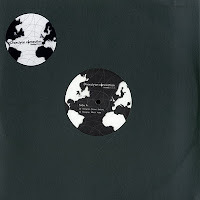 Second of my round-ups of Heinrich Mueller’s remix/reworks and in this case one-off records/tracks as well. The most obvious change in his approach to remixing from 2008 on was that he is no longer using his experimental 2003 – 2007 era template for them. With a new album from one of his solo projects long overdue now (in my opinion, it’s been almost 4 years since Calabi Yau Space after-all) it’s tempting to use this recent material to speculate on what form his new music might take but expectations are bad so I‘ll just have patience and live in the moment. It could be a nice surprise though. These remixes etc are all in the main accessible tracks that would easily move a dancefloor or at least confuse them in a good way. I decided to include his sole collaborative track as Daughterprodukt and his original, ‘Drone FX’, from the Drexciyan Connection split 12” because it’s a good way (for me) to place these otherwise hard to classify and miscellaneous tracks of his. I guess I see these occasional round-ups of his remix work as a way to just compile material of his you could easily have missed or never got the chance to hear as they are mostly pressed in low quantities and difficult to find. Considering his work rate I thought that seven releases was a substantial enough number to justify another one which are listed pretty much in order of release. I am very grateful that I can listen to them on places like YouTube and the other links I’ve given here myself as I’m not a total completist about this side of his stuff. I’m glad all but one of these tracks are still available to listen to online, for now, and am excited to think that from this article some of you can now so easily get to hear some of this amazing music. I said in my previous round up of his remixes that a compilation of his best work in this field would be pretty amazing at this stage of his career and now with even more to choose from it would be killer. But as I said before he may understandably not want to linger on his own past and licencing the material could be problematic as well. Daughterprodukt - ‘Zarathustra’ MySpace player only, October 2008. 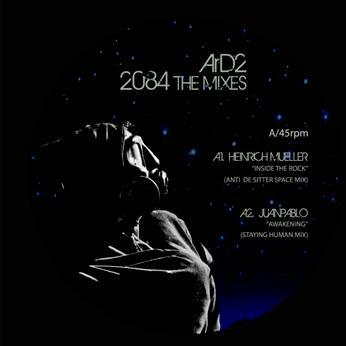 This is the only track which emerged from the collaboration between Heinrich Mueller and Spanish producer Annie Hall. Does it belong here, well it’s not a remix but I’ve chosen to slot it in here anyway as one of his miscellaneous tracks from this period. I’ve written about it before so will keep it brief! The title of course refers to the epic 1883 book by the German philosopher Friedrich Nietzsche, 'Thus Spake Zarathustra'. In my opinion the music is recognisably Muellerish, although the opening section reminds me at times of some of the sounds you find in the soundtrack to ‘Apocalypse Now’. It’s just the synth sound he is using that does it. The second section is pure atmospheric Mueller. As I said there are also female spoken vocals which go, "Christianity is really a misunderstanding. 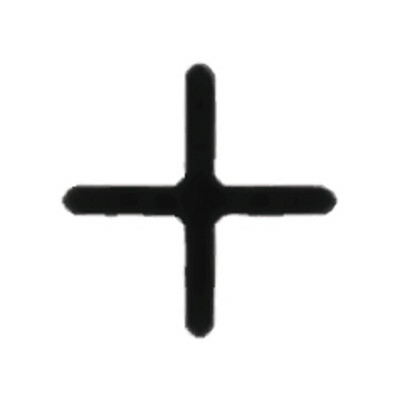 In reality there has been only one Christian and he died on the cross." I presume this is Hall. This is repeated a number of times over the first section and then the line, "And if you gaze long into an abyss the abyss will gaze back unto you. ", which repeats to the end. I’ve always liked this track, quite unlike anything he has done before and if you can ever get to hear it do (it has been removed from the internet since the project was cancelled). Absolutely amazing remix of this track which is sexual to the max thanks to an orgasmic female sample from the original used throughout. Quite luxuriant, deep and slow paced with what sounds like a guitar sample from the original prominently utulised for its melody here as well. There are a few Mueller signatures but it’s quite unlike anything he has done before and must have been a surprise at the time for anyone expecting his usual remodel along the lines of his own music from 2003 – 2007. But the remix itself shouldn’t come as a surprise as Arpanet and Tellier share the same label. This track couldn’t fail to get noticed, it’s just one of those in a class of its own, highly recommended. Again not a remix but maybe this is also a good place to include this piece from his now vast catalogue. Just one new track by Mueller was included on this split 12” with one time Drexciyan DJ, DJ Stingray. Straight off it is a very fast tempo, which interestingly DJ Stingray is well known for (more on tempo later), surprisingly unlike Mueller. It’s quite a sharp sounding production too but slowly more textures emerge with a few synths sounds which are recognisably Mueller. 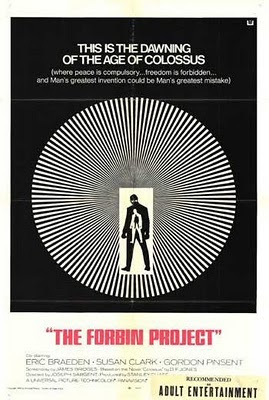 There is a sample of dialogue from the film Colossus – The Forbin Project (1970) which goes, “An invariable rule of humanity is that man is his own worst enemy. Under me this rule will change.” This is the first time he has sampled dialogue from a movie to my memory, which must make this a significant choice. I just did a post on this subject previously. There is a YouTube video of this at the wrong speed of 33rpm but I like how it sounds, only problem is you can’t make out the sample, but it works in its own right somehow. I wouldn’t be expecting him to take this into account but a lot of his 2003 - 2007 music, due to the nature of it, probably sounds equally good at slower speeds. Quite heavy and tightly wound approach this time round. Quite Drexciyan in fact and could even have a few subtle elements from his electroclash era remix work as well to my ears. Fast tempo throughout with a few total sound dropout breakdowns. Another one of my favorite mixes of his from this period. 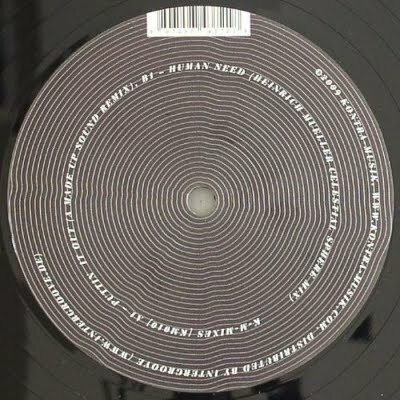 One of his booking agents is Kontra-Musik and Dopplereffekt have done shows for them in Sweden before so maybe no surprise he did a remix for this label. First of the brilliant titles too. In astronomy and navigation, the celestial sphere is an imaginary sphere of arbitrarily large radius, concentric with the Earth and rotating upon the same axis. All objects in the sky can be thought of as projected upon the celestial sphere. The celestial sphere is a very practical tool for positional astronomy. This is the only one of these remixes to sound a bit more like the ones he was doing with the template of his own music from 2003 to 2007. Although it is still quite accessible, being a nice blend of the two approaches. Which does work very well as it rockets along and has these weird sounding moments too, like an ascending tone when everything drops out for a moment. Again it’s worth hearing for sure. I read somewhere that Rustie, who is an amazing young producer in his own right, is a big fan of Mueller. I wouldn’t say he gets asked too often to remix stuff, although potentially he could present you with an amazing piece of music, and I have a feeling that if you approach him he will probably do you a mix. I’ve no idea what he might charge but some of these might even be favors, especially when they are pressed in the low hundreds. I couldn’t guarantee it but I would guess he’s like any genuine artist and pretty decent if you have only a small budget and he thinks he could do something worthwhile with your track. Gravitational Equilibrium is when the state in a celestial body, such as a star, when gravitational forces pulling inward on a particle are balanced by some outward pressure, such as radiation pressure or electron degeneracy pressure, so that no vertical motion results. 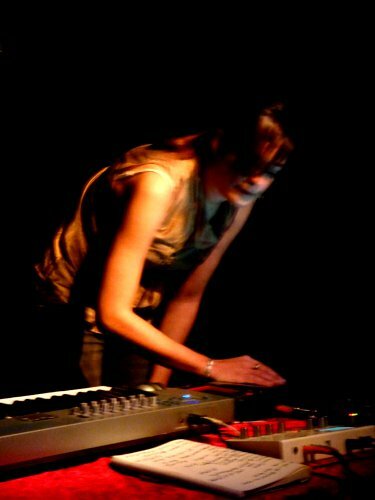 This could have been one of those favors as ArD2 features Penelope Martin of Zwischenwelt. And what a track it is! It uses a great sample of William Burroughs reading his infamous 'The Last Words of Hassan Sabbah', “Could use bodies and minds and souls that were not yours.” It’s a more straight forward accessible sound too, maybe a little skewed towards experimentation. I love the way it slows down and gets heavy around the 2.20 mark, there are a few of these really interesting and quite bare breakdowns throughout. The title of this remix, as applied to general relativity, can be thought of as five dimensional versions of spacetime and was named after Willem de Sitter (1872 – 1934), a Dutch mathematician, physicist and astronomer. Limited to just 300 copies. I instantly recognized the most prominent sound used on this and now just located it on the two versions of ‘Roche Limit’ by Der Zyklus but there the similarity ends. Quite chilled out but it still rattles along at a quick pace. It does have some nice atmospheric touches throughout but it’s pretty consistent and unchanging. Perhaps for those familiar with his work it’s maybe a bit Mueller by numbers but still good for that. Another example of him reworking a pretty much unknown producer. Limited to just 200 copies only. I was just doing some research on the Heinrich Mueller track, ‘Drone FX’, for another upcoming article, which came out on the split 12”, Drexciyan Connection, with DJ Stingray in 2009 on WeMe Records. While doing this I managed to transcribe the sample from it which goes, “An invariable rule of humanity is that man is his own worst enemy. 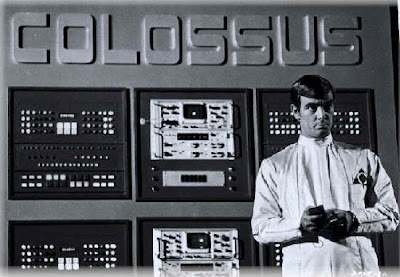 Under me, this rule will change.” I searched it on Google and it led me to an old movie from 1970 which I had never heard of called Colossus – The Forbin Project. You can watch it in parts on YouTube, links below. I have included the full quote here as well, which comes from a futuristic super computer that dominates the world. Interesting stuff, come to your own conclusions.